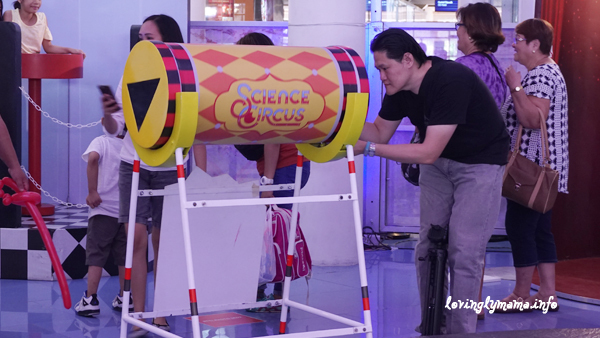 Robinsons Place Bacolod brings over the Science Circus to Bacolod City, a traveling exhibition by The Mind Museum. It will run from April 6 to May 6, 2018 at the fountain area of the mall. 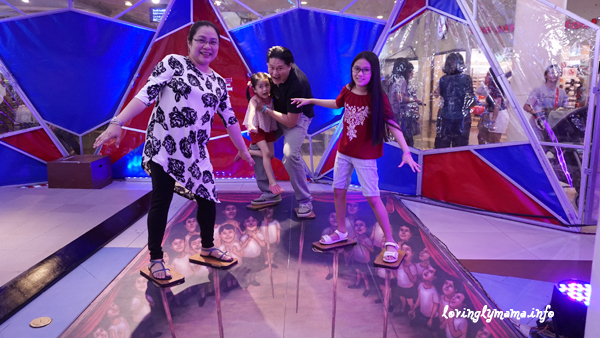 The Big and Small illusion at the Science Circus at Robinsons Place Bacolod. The Science Circus combines circus fun, art, and Science in one very interesting and interactive exhibit. Each display is more than just a photo opp for the perfect Instagram post. 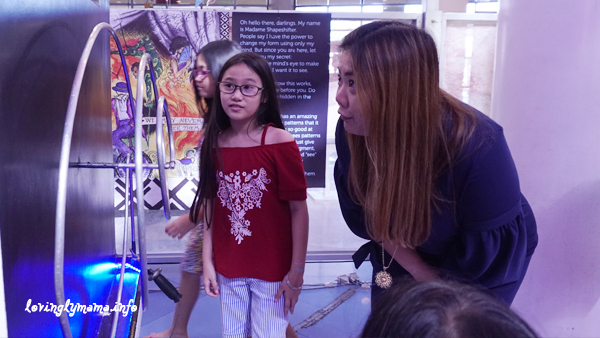 The 4D interactive exhibits aims to let visitors experience and even explain facts of science that are found and experienced in our everyday lives. The Science Circus was formally launched with circus acts like clowns and ribbon dancers. The doors were officially opened by Councilor Cindy Tan-Rojas and Mr. Joseph Sian, Robinsons Land, Vismin Operations Director. 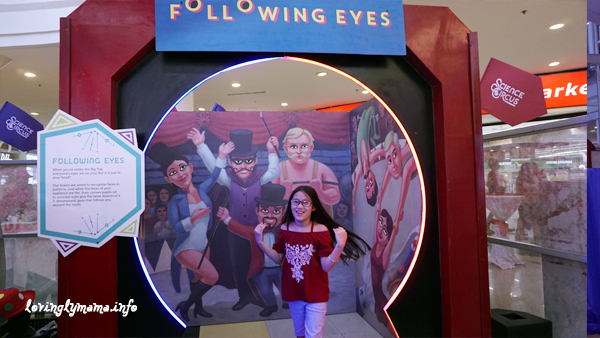 A single receipt purchase of P1,000 from Robinsons Department Store, Robinsons Supermarket, and its subsidiaries entitles a customer a free pass to the exhibit. Different purchase requirements apply for other participating tenants. Meanwhile, general admission to the Science Circus is only P50 and totally worth it. Are we walking on stilts? The summer slide occurs during the summer when kids are on vacation from school. It seems that they take a rest from learning, as they drop all the daily routines pertaining to school. This is a perennial problem for the teachers. Run as fast as you can — Dindin, Shane, and Kimy have fun in this common playground activity but with a twist. How well can you control your grip? Councilor Cindy Rojas checks this exhibit with Dindin. 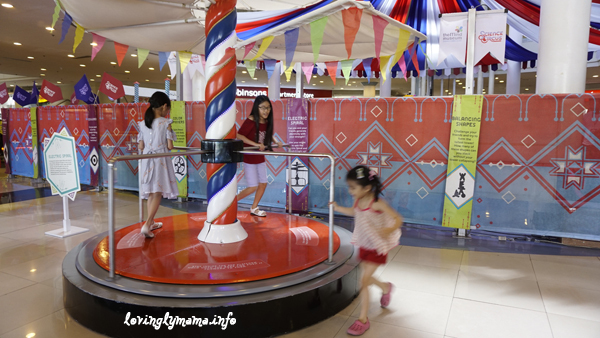 The Science Circus aims to draw families to the mall for a one-of-a-kind learning and bonding activity. Families will be able to learn some scientific concepts and make discoveries together. The event is supported in part by Mastercard, LimkacoIndustries, Uratex, and Thompson Hardware and Lighting Center. The Following Eyes booth makes you feel that all eyes are on you. Science Circus: Step Right Up! is the 5th traveling exhibition of The Mind Museum. There are a total of 12 sections on display, so be sure to cover all of them. 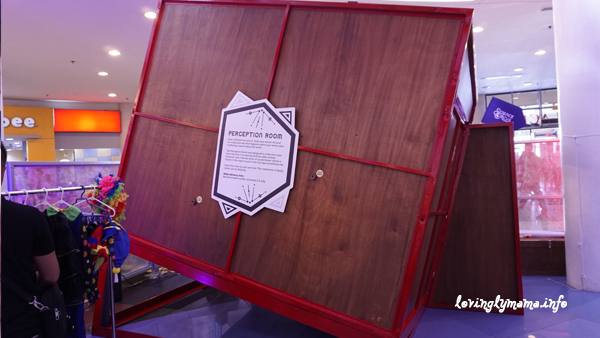 The Science Circus showcases the amusing, the peculiar, and the extraordinary in our everyday experiences, but in the form of interactive exhibits that deceive the senses as well as boggle the mind. Some of the exhibits can pass up as complex toys, but kids are already learning from them. As guests enter the exhibit area, they will be welcomed by a festive and colorful façade that sets the tone for the sights and sounds inside the circus. Then, they will be ushered to interactive exhibits that are displayed simultaneously. Guests can go around the different set ups in the order that they please. In our case, we went from our right, going around in a circle. Guests to the Science Circus will witness a menagerie of exhibits that will make you ask the validity of the phrase, “To see is to believe.” It seems that you cannot always trust your senses. 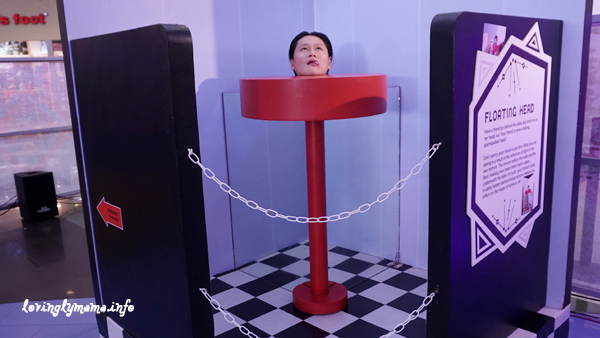 Parts of Science Circus will unveil the “blindness” of the mind’s eye through floating heads and bodies, deceptive room interiors, playful eyes that follow you wherever you go, and other mind-boggling illusions. Honestly, I got really crazy at the Perception Room. I haven’t even stepped in there and my head already started spinning. Shane went in there and would not go out, but I needed her to come out already because we were called to have snacks. I couldn’t get her–I just couldn’t. haha I would not recommend this for somebody who has vertigo. The Perception Room alters your perception of reality. Check the video below. 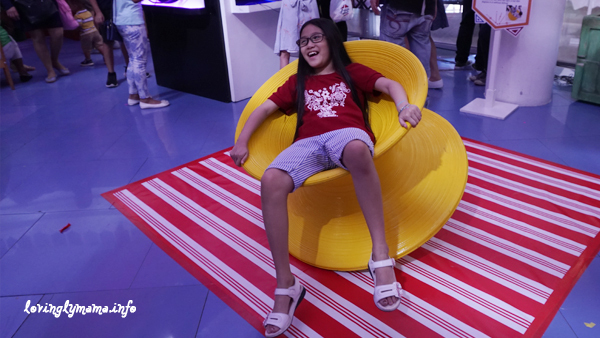 Check out the kids’ experience at the Perception Room in the video below. This was taken by my husband as I could not step foot inside it. My head was already spinning even though I was looking from the outside. Guests can also engage their minds in puzzles and enjoy how Math and art come together. There are simple machines, a spinning chair that you would be challenged to spin in, and a funky selfiekaleidoscope. All of these will surely engage kids and families to have fun with physics and engineering! Dad tried on the selfiekaleidoscope at the Science Circus. 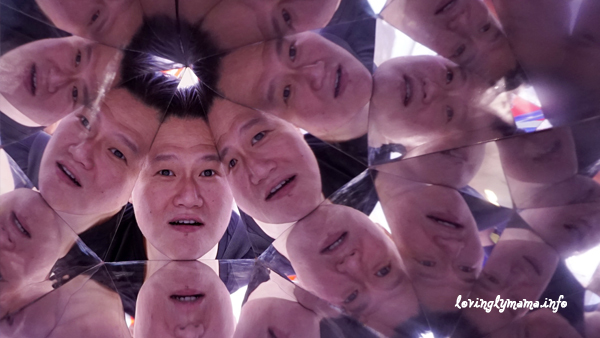 This is a photo I took of Dad at the selfiekaleidoscope. There are also costumes for kids and grown ups that they can wear to go with the different exhibit areas. Our kids truly had a grand time at the Science Circus. Both kids love visiting museums, especially Science Museums, and this one just got them all revved up. We were there for about two hours already and they still wouldn’t leave. Had to negotiate with them that we will just come back again. The spinning chair is crazy! It was wonderful just going around the Science Circus. We let the kids roam around all they want and try different stuff. We just keep a close eye on them, especially if there are lots of other people. As a family that is homeschooling in Bacolod, events like these are very important for us and we make sure not to miss them. 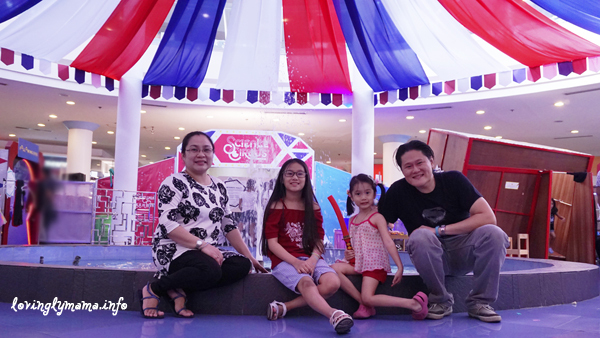 Our family at the fountain area during the Science Circus. 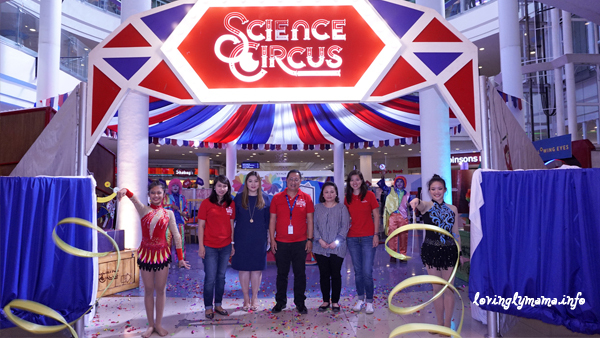 We are thankful to Robinsons Place Bacolod for bringing such learning and worthwhile activities for kids like the Science Circus here in Bacolod City. 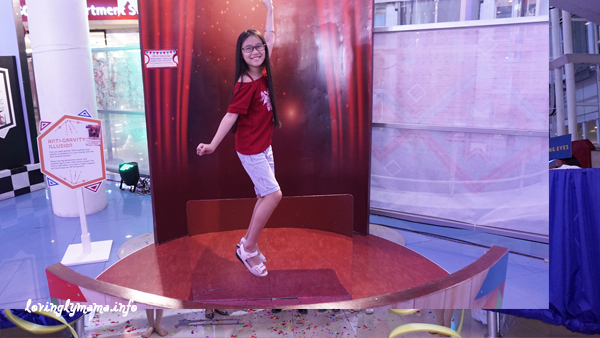 Our most recent activity there was the Pink Fong Mall Show. This looks like a lot of fun. My nephew would love this, too bad it is not in the USA. This seems like a lot of fun. An educational circus, it sounds like a great way to get children interested in science. Totally! This Science Circus is amazing. Glad we got the chance to experience it because it’s only a traveling exhibit. That’s really amazing! I think it’s awesome that you guys have a science circus available for the kids. I can just imagine how much fun they’re going to have here! This Science circus is indeed amazing for the kids. They seem to have so much fun at the all the attractions. I need to check in case we also have a similar circus here where science is the main attraction. Oh nice, this looks cool for kids while at the mall. 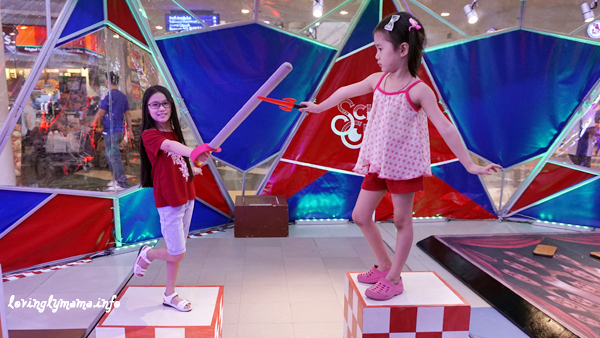 They can have fun at the Science Circus after shopping and not get bored. What a fantastic idea! I’ve not seen something like this Science Circus before. It looks like it would be fun for both children and adults, too. I know I would enjoy it, too. Aaaw! Now this is definitely very fun! 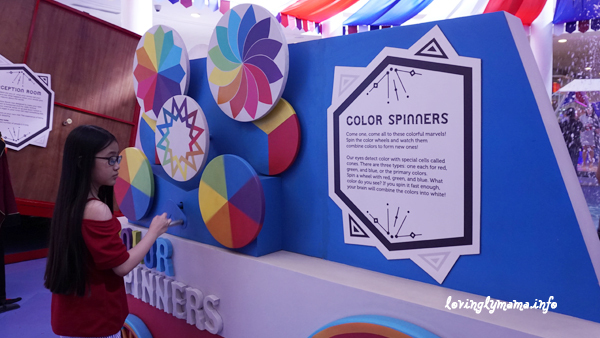 For an educative yet fun event, the Science circus is a sure way to get kids to love science, which is part of us! Your kids surly had a nice experience there, now that family time is also as terrific…I understand that’s why they didn’t want to leave the place. What a fun place. My kids would love to experience the Science Circus for sure. Looks so interesting even for grown ups. Wow, I think a Science circus is a very creative way of introducing Science to kids! A must-do thing this summer for families, especially those with young children! It does look so cool. I love how interactive everything is here at the Science Circus. I know my daughter would love it. She loves hands on things. Such amazing experience for kids to visit the Science Museum. It’s fun and educating, if you ask me. No one will not eant to be there as a kid. Such amazing pictures too. Sure they had fun. This sounds really cool, I know my daughter and nieces would have tons of fun at a place like this. I like it that the Science Circus is also educational, definitely sounds like a good place to take the kids. There’s so much happening at Robinsons Bacolod lately. I want to visit soon and experience these kinds of events, like the Science Circus. I would have loved this when I was a kid! Making science interactive and fun is so important for easier learning. Hooray for Science Circus!